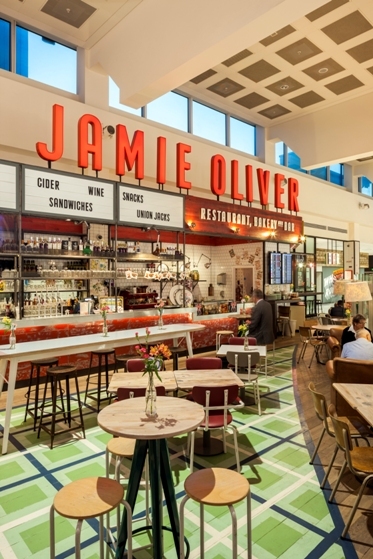 As part of the major overhaul and rebranding of the Gatwick North Terminal, Jamie’s Italian were tasked with bringing a full service restaurant and bar offer into the hectic airport environment. This posed many technical and design related hurdles to be overcome and all to comply with stringent airport guidelines and operating conditions in one of Britain’s major airports. 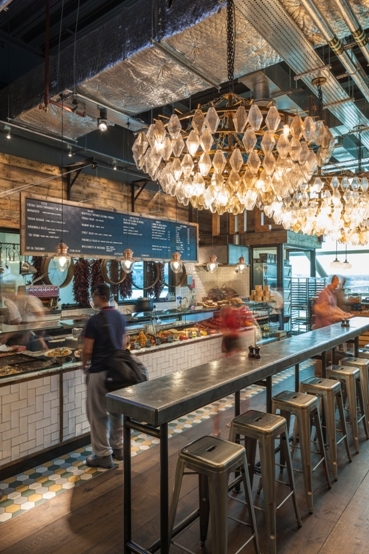 In order to cater for as many aspects of the travelling public as practicable there is a grab and go takeaway complete with its own baking oven for a truly fresh meal, a fully seated restaurant and kitchen, prominent anti pasti counter and display of meats, open all the hours that the airport is operational as well as a comfortable bar with a feature beer cellar to display the extensive choice of beers. 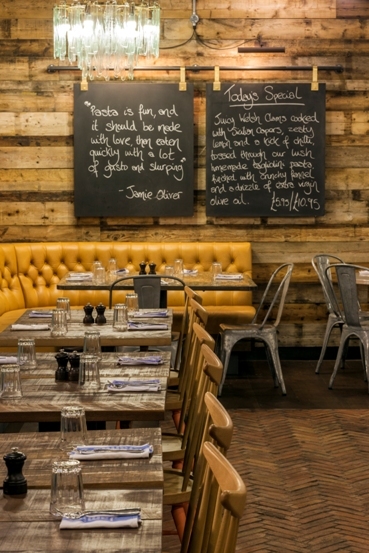 The restaurant has far reaching views over the busy taxi ways and to the Sussex North Downs beyond. 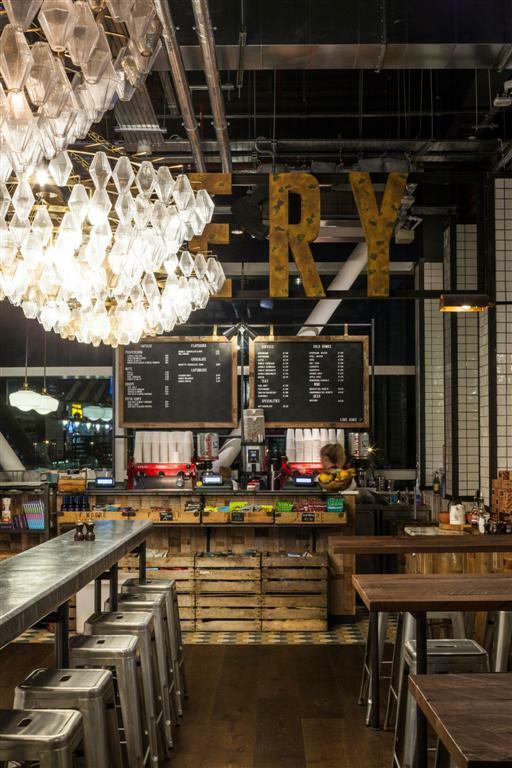 The design called for maximum use of reclaimed and salvaged materials and these were fully sourced from suppliers all over the UK to fulfil the design brief for a rustic but comfortable interior. 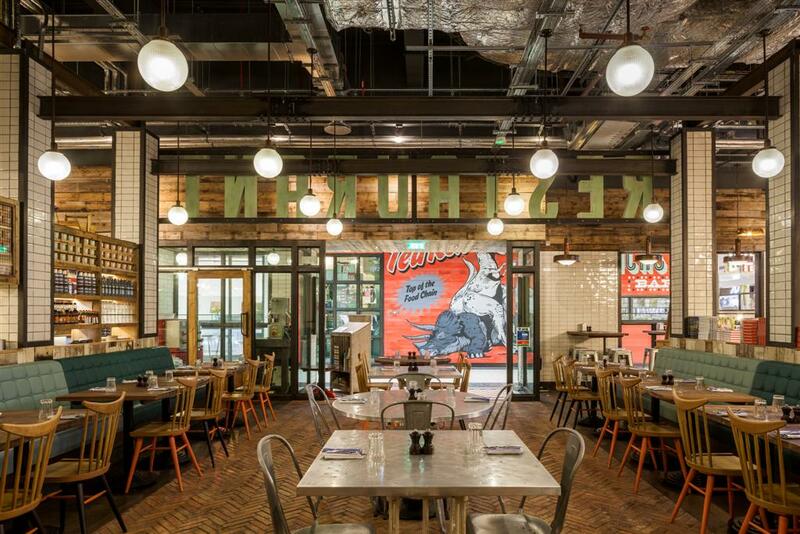 This challenging project was completed in 14 weeks.